So excited that holiday season is coming closer! Have you made your holiday travel plans yet? If you haven't, you definitely should! Pack your clothes, beauty products, and everything you need to bring on your trip that I suggested here. You probably guess the outfit I would wear on a trip. Yes, denim! Just like I’ve mentioned tips to wear denim on the previous post. Spend the whole day and bring your family and friends to Trans Studio Bandung, an indoor theme park with full of thrill rides, arcades, and play areas. Here you can enjoy 20 exciting rides and entertainment with the famous Broadway style, also meet your favourite character there! Find more information about Trans Studio Bandung here. One of the most popular restaurants in Bandung with the relaxing ambiance surrounded by bamboo huts, streams, and waterfall. This is the best place to feel the experience of enjoying Indonesian cuisine in such a comfortable outdoor setting. You will be surprised by the beautiful lake, a sulphuric lake as it comes from a volcano. It is 2 hours away from Bandung city to Kawah Putih and you will feel how peaceful the place really is. This is also the best place to take photos, as the view is very fascinating. When it comes into shopping, you should explore more at Jalan Dago or Jalan Ria. Many of factory outlets along the street and you will find all the hidden clothes, shoes, bags from various brands with best prices! Tips: Take care of your belongings because the place is really crowded. You can explore more about beautiful destinations in Bandung here. Rest yourself after such a long trip in Bandung. 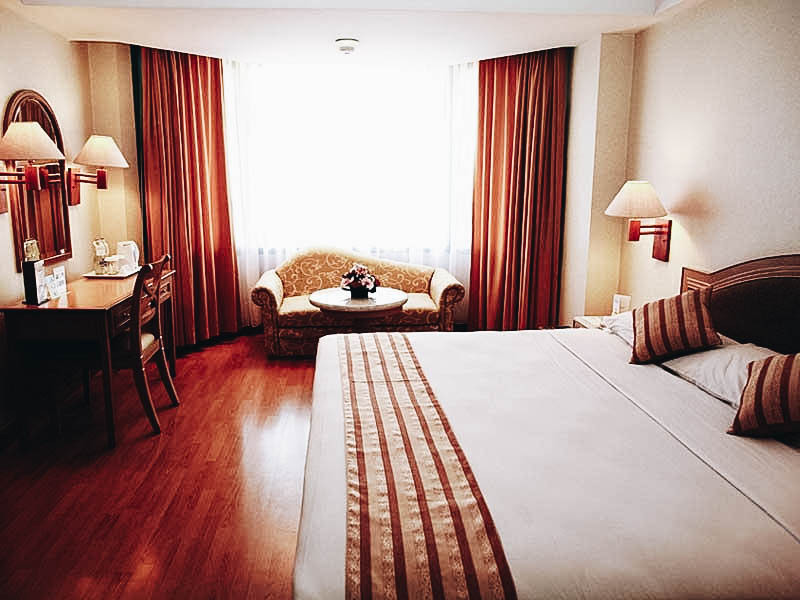 Hotel Horison Bandung would be the best hotel to stay with your big family, as it is surrounded by interesting places such as Bandung Supermall, Trans Studio Bandung, and Trans Studio Mall. You can book a room at Hotel Horison Bandung from Traveloka by signing up and easily pick your desired bedroom type from Deluxe to Executive Suite. All room is designed in modern and elegant way with wooden floors and furniture, which is perfect to help you relieve fatigue and stress from work! 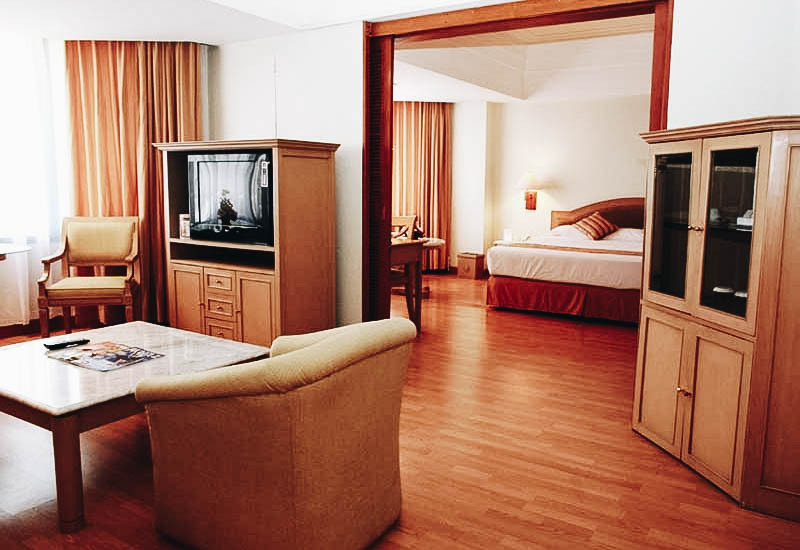 Each room is equipped with free Wi-Fi, bathroom with shower and bath, minibar, air conditioning (AC), and TV. 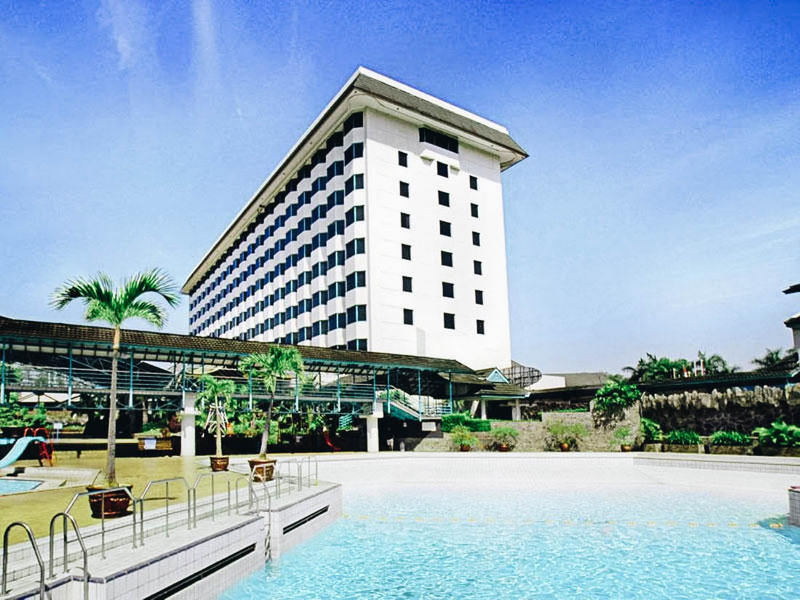 You can also enjoy Hotel facility includes Café, Bar, Restaurant, Swimming Pool, Playground, Fitness center, etc. Not only hotels, you can also book flight tickets through Traveloka. Just simply choose your desired date and destination, Bandung for example, and then several flight options will show up at the best prices. Don't miss special promotions from Traveloka and be adventurous on your journey! Looks like a lovely place! Pretty pictures!